Conventional gasoline is used in the rest of the state, while Southern-grade RFG is used in Franklin, Jefferson, St. Charles and St. Louis. Clay, Jackson, and Platte counties sell 7.0 psi RVP gasoline June 1-September 15 on a retail level, and 9.0 psi RVP in May. All other counties require 9.0 psi RVP for May 1-September15. (Originally expired 12/31/13 - retroactively extended through 12/31/16, by H.R. 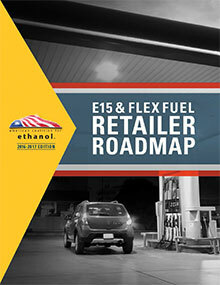 2029) Fueling equipment for E85 installed between January 1, 2014, and December 31, 2016, is eligible for a tax credit of 30% of the cost, not to exceed $30,000. Station owners with multiple locations can use the credit towards each site. For more information about claiming the credit, see IRS Form 8911.